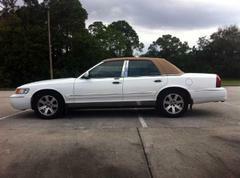 LOCATED*** 2002 Mercury Grand Marquis silver w/black landau roof, PA "RIC-TER" . THIS VEHICLE HAS BEEN LOCATED in the City of Philadelphia near 54th Street. THANKS FOR all your tips! 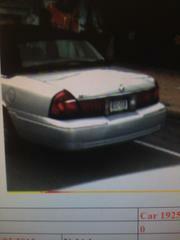 Upper Darby Police are asking the public to help locate a 2002 silver Mercury Grand Marquis with a black landau roof, bearing PA "RIC-TER". The vehicle was taken after the homicide of Michael Fanning, sometime between Friday, February 21, 2014 and Monday, February 24, 2014 from the Long Lane and Ruskin Lane area of Upper Darby. 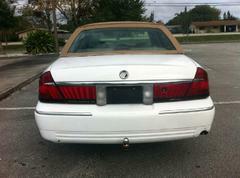 Attached is a photo of the actual vehicle, and two photos of a 2002 Mercury Grand Marquis to assist in knowing what this vehicle looks like. Remember it is silver with a black top. If you see this vehicle or have seen this vehicle please call 911 or 610-734-7677 immediately. If you see or have seen this vehicle please call 911 or 610-734-7677 immediately. Any information you may have may be the key piece of information needed to help solve this murder.